This 35.5mm. 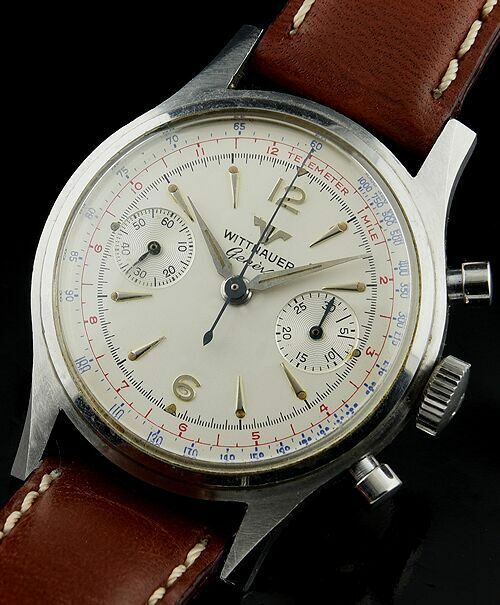 stainless steel vintage Wittnauer Geneve chronograph displays stellar overall condition. The dial is completely original and accented with a red telemeter scale and blue MPH. The chamfered lugs have sharp edges (unpolished with screw back all EXTREMELY clean. The large LONGINES crown is correct. The manual winding WITTNAUER 14Y (Landeron 249) movement was just cleaned and is accurate with all chronograph functions operating smoothly. The top pusher starts the chronograph. Bottom pusher stops and resets the chronograph. 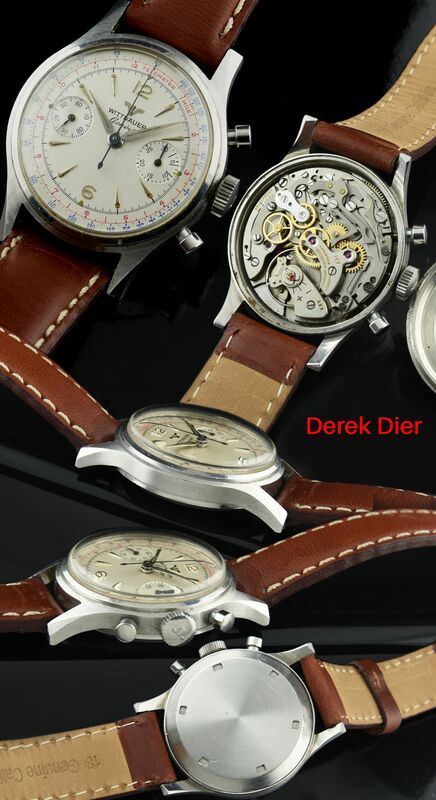 I believe these watches are undervalued and will have an upwards trend in the future. The overall condition of this watch is extremely fine.